You are here: Home » News » Vinyl Fence News » What are the precautions for choosing a horse fence? 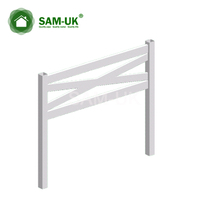 Vinyl horse fences have become more popular in recent years. If you are a farmer and you own your own farm, I think you need to consider a vinyl horse fence. Not only does it have a good appearance, but the quality is also very good. 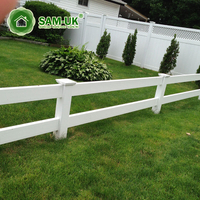 Before you choose to replace the vinyl horse fence, you should know about buying a vinyl horse fence. Here are some precautions we have made, and I hope to help you. A good vinyl horse fence starts with the right installation. Although the installation of vinyl horse fences is convenient, many horse owners choose to install their own horse fences, but most people rely on fence contractors for professional installation to ensure their horses are absolutely safe. Experienced fencing contractors can also help you choose the horse fence material that best suits your land, budget and needs. 1. Written contract: Before any sequelae are mined, the vinyl horse fence contractor and the horse owner should reach a written agreement on the materials and installation. The contract will accurately state what the owner wants the fence contractor to provide. 2. Product samples: Reputable fence contractors can provide product samples so that consumers can see and feel the difference between materials. In order to avoid bad service. 3. References: The horse owner should request and check the reference materials of the fence contractor. Ask the contractor whether the fence is completed on time, properly installed, kept within budget, etc. 4. 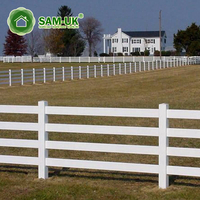 Insurance certificate: The vinyl horse fence contractor shall produce the insurance certificate. We adhere to strict ethical standards, using new products and advanced technology to provide quality installation services. One of the first applications of vinyl fences is in the horse industry because it greatly reduces damage to horses and does not require traditional maintenance. 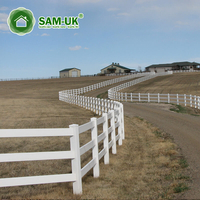 In addition, most of the vinyl fences used to seal horses are white, preventing horses from colliding with them at night (other colors can be used as well), and vinyl horse fences are less likely to be bitten by horses. If you have experience with burrowing, set the pillars to a straight and even height, you can install your own horse fence. 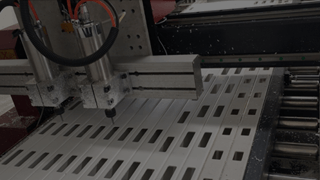 You can save $3 to $6 per linear foot to hire someone else to install. In warm weather, if the soil is clay, renting a powered tunnel excavator will greatly reduce time and effort, but will slightly increase costs. But if you rent a machine, you can increase efficiency by simply digging holes. Set up columns with concrete and use a level to make sure they are straight and of the same height. If you want to know more, you can follow our website and we will post some very useful information. You can also browse our product informations, our products will definitely bring you a good experience.